What if you could pick and choose everything that exists in your life? Everything that shows up in your life? 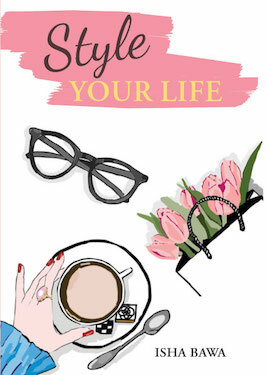 What is Style Your Life? What if its time for a different perspective? What if you didn’t have to live by the “right” color, the “right” look, the “right” life? Everyone has a style, everyone has a unique way of living that is their fashion statement! The book will enlighten readers about life and living, beauty, bodies, wardrobe workout, wealth, styling your future amongst other topics. Fashion is not something that exists in dresses only. Fashion is in the sky, in the streets, fashion has to do with ideas, the way we live, what is happening. Isha Bawa is an Access Consciousness Certified Facilitator who lives in New Delhi, and empowers people using the tools of Access Consciousness®. She is someone who has always seen the sparkles of life, always seeing life from a different perspective. What if there could be a world without any separation? Is it time now?